Disney has been on a kick of taking many of their older films and remaking them for modern audiences. My feelings on the remakes have been mixed. My stance for the whole endeavor has always been “if there can be improvements made on the old one, then give this new one a try.” I have little interest in re-watching something I’ve already viewed, but so far these live action remakes have been largely successful (“Cinderella,” “The Jungle Book”), with a few noticeable misfires (“Maleficent,” “Alice Through the Looking Glass”). To my knowledge, “Pete’s Dragon” may be the first live action remake of an old Disney film they’ve attempted. Yes, the title dragon Elliot was animated, but the original film was 89% live action. This is also a situation where a remake was truly in order, as the original movie is not something I would consider to be a good movie, and there was PLENTY of room for improvement! 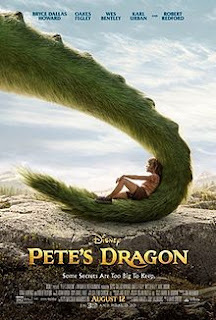 What is interesting is that director David Lowery (who also helped write the screenplay) manages to tackle both these issues in one swoop: “Pete’s Dragon” is a reimagining of the older film to where it only has similarities on the surface, and it is also a much better movie than the original to boot. Granted, one thing I do miss about the original is the 2D animation that was used to bring Elliot to life. There is a reason the animation (which was headed by future director Don Bluth) was a highlight for audiences and critics everywhere; it was fun and energetic. The Elliot in this version is made with computer animation as opposed to drawings. I don’t like this design as much as the old one, but since this IS a different story altogether, I was able to adjust accordingly. Also worth noting is that the old film was a musical comedy. This new version is a drama, with scenes of tear inducing drama that tug on the heart strings. I will say, one area where the previous film has a leg up is with the relationship between Elliot and Pete (played here by Oakes Fegley), which is preserved in this version quite nicely. One of the advantages with this remake is that Pete connects with a family that includes Grace (Bryce Dallas Howarde), Jack (Wes Bently), Natalie (Oona Laurence), and Grandpa Meacham (Robert Redford). How Pete bonds with this family and how the family reacts to his existence is touching, a little realistic, and very heartwarming. I was particularly touched by Grace and Natalie, the first who provides the kind of motherly love Disney is so good at portraying in films, while the latter is the kind of sister even young boys would like to have (even if they wouldn’t admit it in a million years). Then you have Robert Redford, the veteran actor on set, providing support to the larger cast with ease all while being a huge presence in his own right. I worry fans of the original movie may be put off by this new version, because it doesn’t follow the same story structure, feelings, and it doesn’t even have any musical numbers in it. For those people I have good news: The original movie is still widely available for purchase and rental. This new version hasn’t erased your childhood. Again, this is a different interpretation of the story. One that is a little basic at times, but is mostly charming and magical. Like “The BFG” earlier this year, it is Disney attempting to pull back on cynicism and deliver the kind of feel good movie audiences used to love. 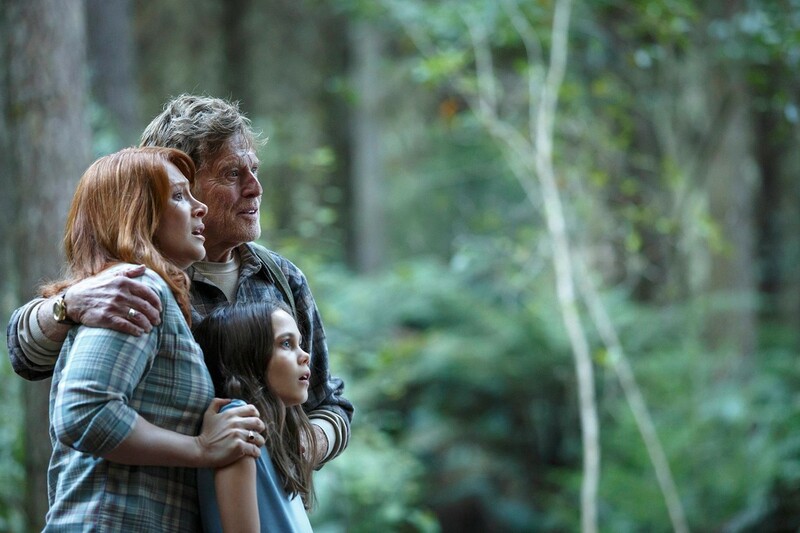 If more future remakes are like “Pete’s Dragon,” then people have every reason to get excited about Disney’s upcoming slate of films. That said, I do want to stress that Walt Disney himself frequently said that he would never stop created or innovating, and Disney the company would do well to remember those words of wisdom, or risk being stuck tinkering with the past.